10ml Smoke juice Green Mint e juice is a wonderfully gentle mint flavor that has a nice creamy undertone. It is a great addition to anyone’s e juice collection and will give you a unique minty flavor that can’t be found everywhere. 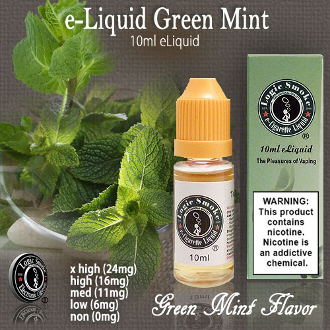 Pick up a bottle of Green Mint E-liquid from Logic Smoke and enjoy.